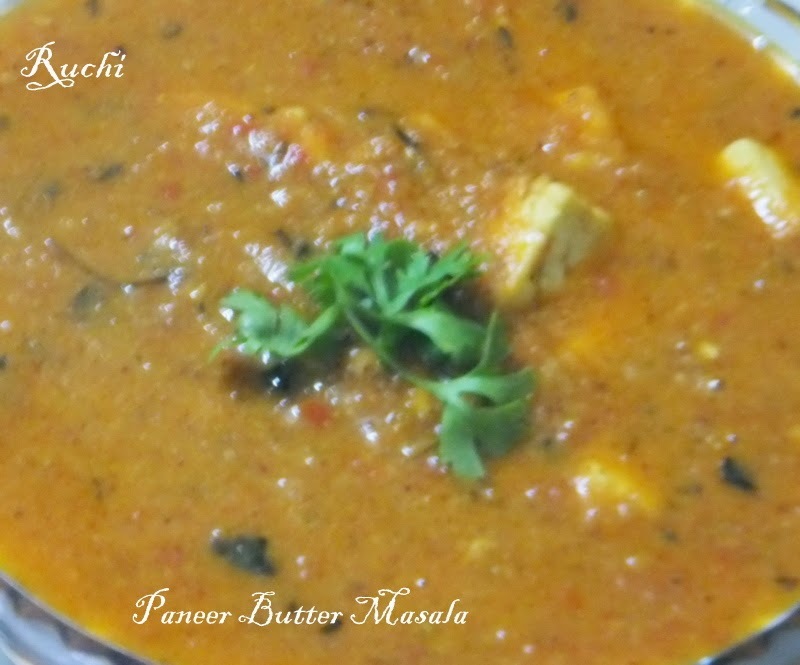 Paneer Butter Masala is a delicious punjabi dish and paneer cooked in a aromatic a thick rich creamy tomato gravy. It is a super delicious vegetarian dish.. I make Paneer Butter Masala very often as my children are huge fan of paneer. It is very easy and quick to prepare.It can be prepared with numerous styles. 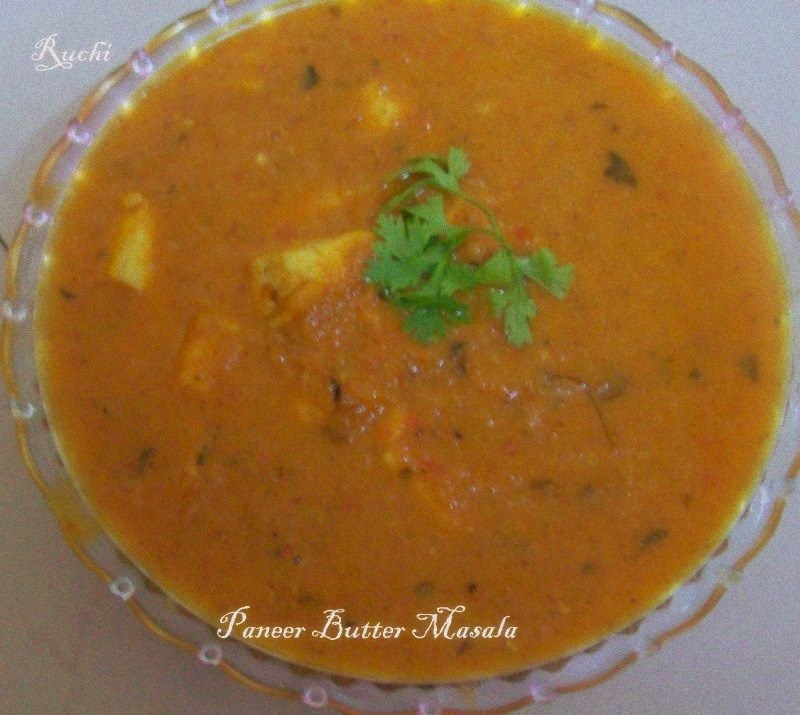 The following method is the easiest method of making paneer butter masala which taste very similar to restaurant style paneer butter masala. This dish is huge hit among all my family. Whole garam masala: 3 cardamom, 4 cloves, 2 cinamon sticks, 1 bayleaves. 1. Heat 2 tbsp oil in a pan and Fry the paneer pieces til they are golden brown in color. 2. Now heat 3 tbsp butter with oil in a kadhai.Add whole garam masalas - bay leaves, cloves, cinnamon, red chillies and half of the crushed coriander seeds. Sauté for half a minute. 3. When it crackles, add boiled onion paste, ginger and garlic paste. Saute it for 1 -2 minutes until its’ raw smell go out. 4. Now add turmeric Powder, kashmiri red chili powder, coriander powder, garam masala powder. Saute the spices well for 1 minute. At the same time we also add salt and sugar. 7. Put the fried paneer pieces. Cover it again so that the juice of the gravy can get inside the paneer keep it on simmer for 2-3 minutes. Finally add chopped coriander leaves. 8. Garnish it with fresh cream and butter.Serve hot with Roti, Naan or rice. My all time favourite masala..Loving it.